Continuing the series, is it just me or does everything containing the word “KEN” have extraordinary talent, exquisite design, and unsurpassable quality? At least, the Kenwood HB724 hand blender is no exception. After boiling some potatoes it was time to put the “Potato Puree” attachment to work. No ordinary attachment this, it would more aptly be named “potato auger:” it contains a reduction gear and a black plastic paddle, and the potatoes are lifted upwards and pressed through the holes. 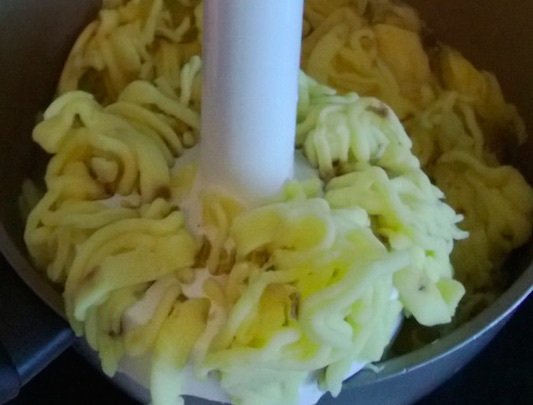 Here you can see the potatoes as they are squeezed through the holes, helping to puree them. Finally, although I am not showing it here, cleanup is a snap. The plastic auger blade detaches from the assembly, and you clean everything up with just a gentle rinsing with warm running water. The reduction gear ensures the auger blade turns at the perfect speed to puree potatoes. The size of the holes through which the potato puree passes are perfectly designed. 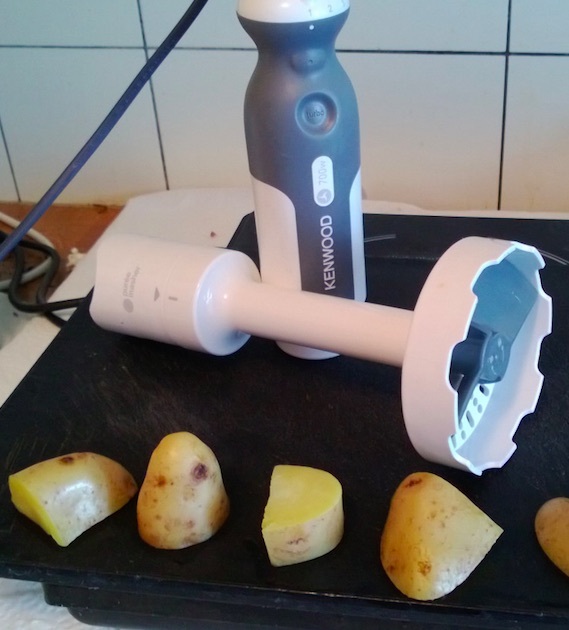 And I was pleasantly surprised: this device worked very well with the very small number of potatoes I cooked (some devices really only work when you have a large amount of potatoes). Negatives & Suggestions to Kenwood for improvement? Further reviews on this topic needed? No. I didn’t mention it here because I didn’t use it or describe it above – because I think nobody would believe it – but something happened that I myself can hardly believe. I cooked my potatoes without peeling the skin. After multiple cycles of the potato auger the skins were all filtered out from the potato puree and kept within the auger housing – in effect, the Kenwood acted as a potato skin filter! This is an added bonus – but it is so wonderful, I think it would almost be straining credibility for me to mention this! 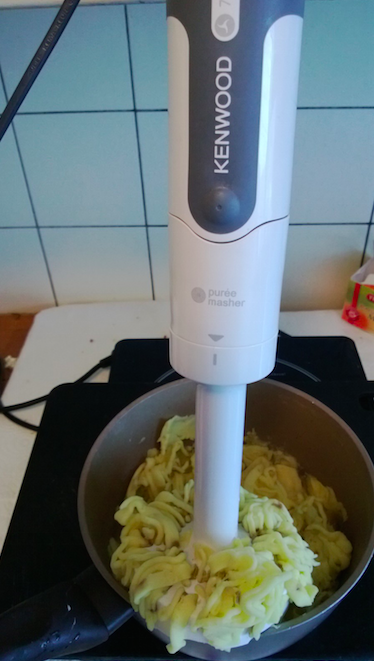 No fuss no muss – I’d use the Kenwood for freshly mashed potatoes every day of the week and twice on Sundays! Here I want to re-iterate, for the second time, the philosophy of use, or PoU: I kept the Kenwood power unit permanently plugged in and sitting on my kitchen countertop, ready for action. So at a moment’s notice and without any effort at all, I could bring out the attachments I needed. 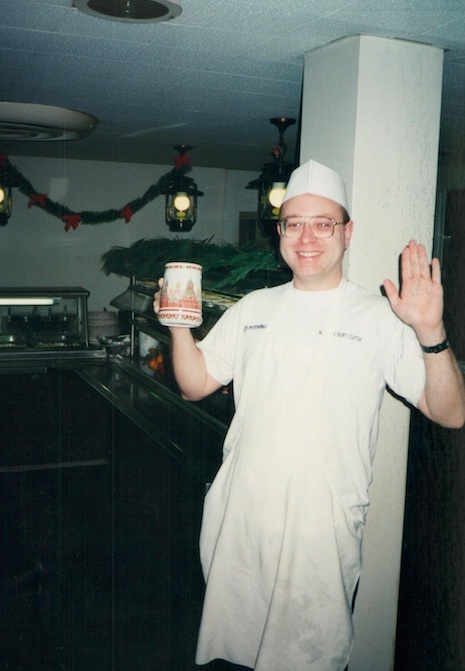 Continuing the series, for almost seven years I worked as short-order cook in a cafeteria with service for up to 300 people. When I worked in a professional kitchen, all the equipment and tools we needed were professionally maintained, right at hand, and ready to go. And after using the equipment, we had people whose job it was to clean up. Not so in the home kitchen, where there is limited space, and where I have to do the clean up myself. 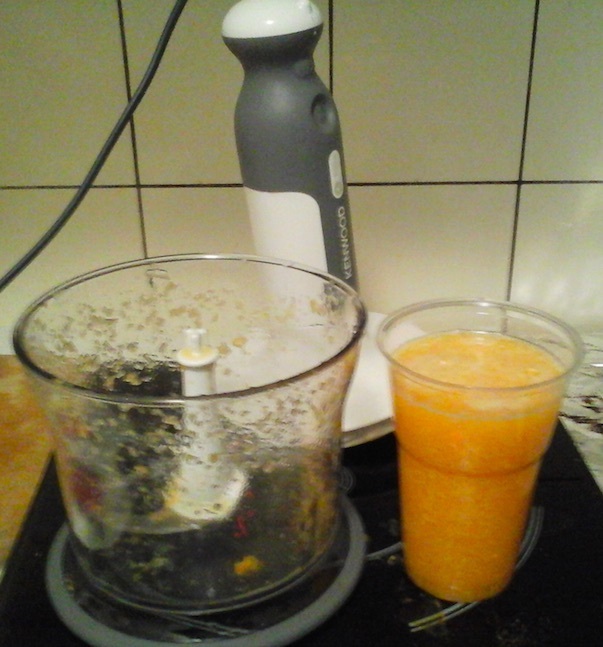 So for me, the main challenge of electric kitchen gadgets (like blenders and mixers and juicers) is that it is difficult to obtain a net overall win/win situation: the needed overhead (pulling them out, setting them up, cleaning them up, stowing them) quite often exceeds the pleasure or value or time savings provided by the gadget. In attempt to rebalance this equation in my favor, I recently purchased a Kenwood HB724 hand blender. In the coming blog entries, I will give some table top reviews of using my new Kenwood blender, and especially try to answer the question: was it so easy and convenient and effective that I will be using it for this purpose again? 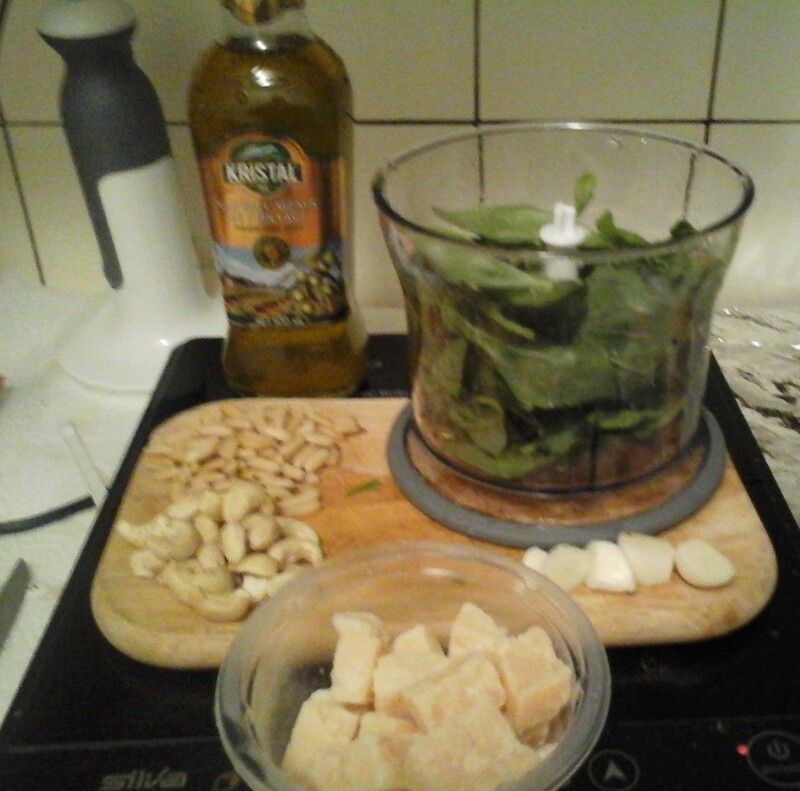 Here are the other ingredients, including fresh basel leaves, fresh Parmesan Reggiano cheese, and two types of nuts: pine nuts for a smooth, creamy texture; and cashews for a light, nutty taste. Note the level of the high quality extra virgin olive oil. 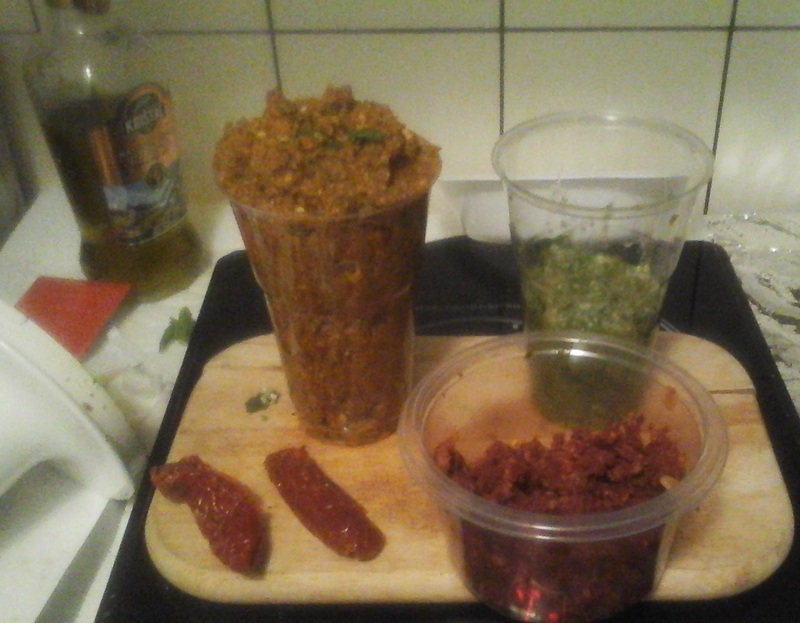 And here are the results: I made a sun dried tomato pesto (front center), consisting of just garlic, sun dried tomatoes, olive oil, and chili flakes; a green pesto (right); and a “mixed” pesto (left) that is essentially the green pesto, but with sun dried tomatoes and chili flakes. I made the pesto quite thick, so that I could store it in the refrigerator for several days. 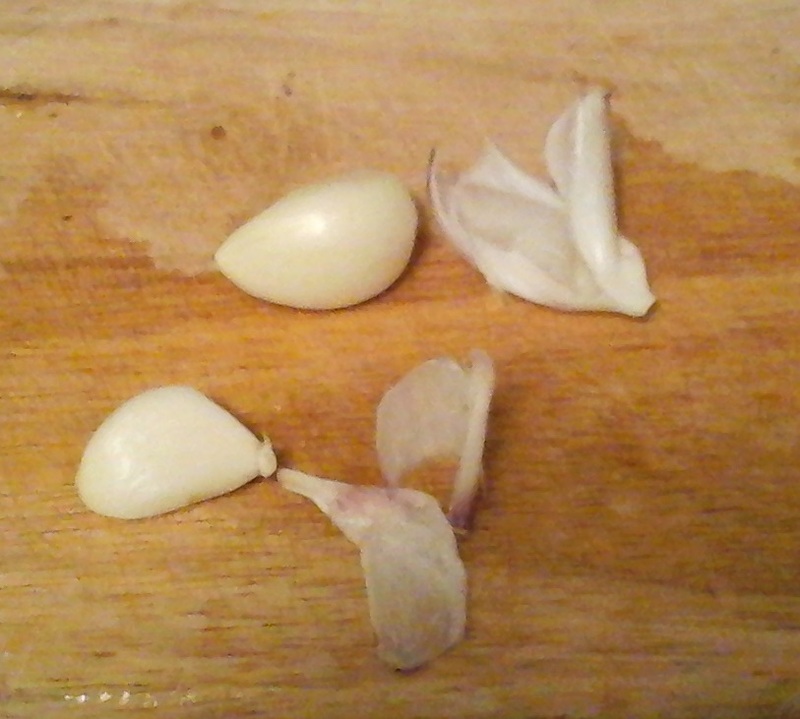 Before using, I’ll heat and add more olive oil. 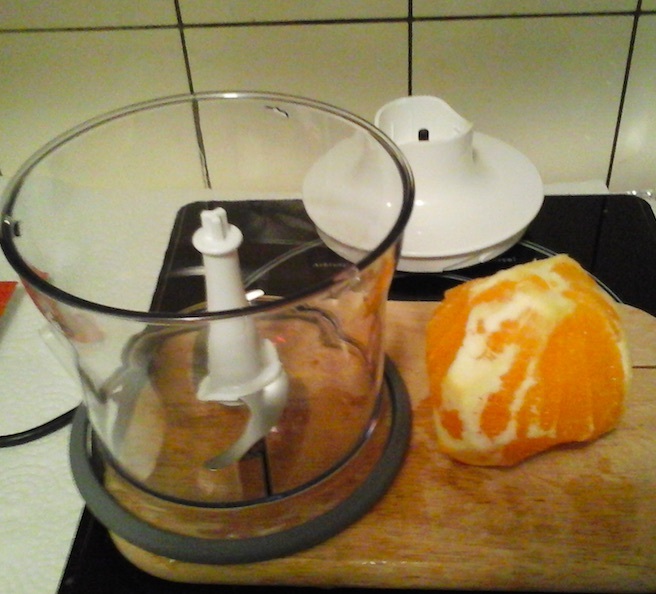 Having already made orange juice, I was not surprised at the smoothness of the grinding action. But I was pleasantly impressed at how well the addition of extra nuts and garlic into the pesto-in-progress was incorporated, which shows this grinder’s excellent mixing action. What also impressed me on this job was the shape and size of the mixing unit: it is large enough for a sizable portion of pesto, it has a large enough mouth to make it easy to add the ingredients – but it is small and compact enough so that I won’t think twice about using this great device for similar food preparation jobs. Yes. I didn’t mention it here because I didn’t use it, but the mixing bowl comes with a plastic lid. This means you can prepare sauces in the mixing bowl, then simply cover the bowl with the lid and insert it into the refrigerator. 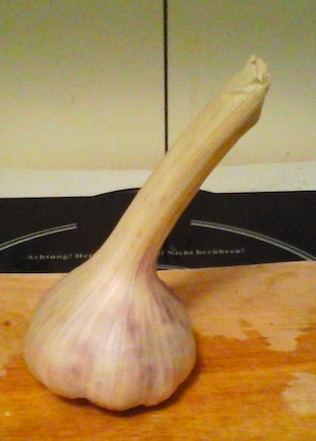 I plan to test this feature in up coming recipes. No fuss no muss – I’d use the Kenwood for fresh Italian pesto every day of the week and twice on Sundays! Here I want to mention, for the first time, the philosophy of use, or PoU: I’ll be keeping the Kenwood power unit permanently plugged in and sitting on my kitchen countertop, ready for action. So at a moment’s notice and without any effort at all, I can bring out the specific mixing attachments I need – thus lowering that “effort barrier” that plagues all fancy electric kitchen gadgets and discourages their long-term use (or discouraging them becoming part of your daily cooking system). For almost seven years, I worked as short-order cook in a cafeteria with service for up to 300 people. When I worked in a professional kitchen, all the equipment and tools we needed were professionally maintained, right at hand, and ready to go. And after using the equipment, we had people whose job it was to clean up. Not so in the home kitchen, where there is limited space, and where I have to do the clean up myself. And after about 20 seconds of blending, it makes a full glass! The actual grinding was much faster than I expected, I think due to the very well designed blades that cause a very good mixing. Assembling the unit was also easier than expected, because the design is exceptional and all the pieces fit together easily, just by feel. Grinding was easy, because the normal power button and the turbo power button are both very easy to press. And the grinding attachment has a rubber ring that prevents it from sliding on the table top. Pouring from the mixing attachment into a glass was also straightforward and entailed no mess. Cleanup was also easier than I expected, because the plastic is water repellent – just a gentle rinse in the sink was all that was needed. 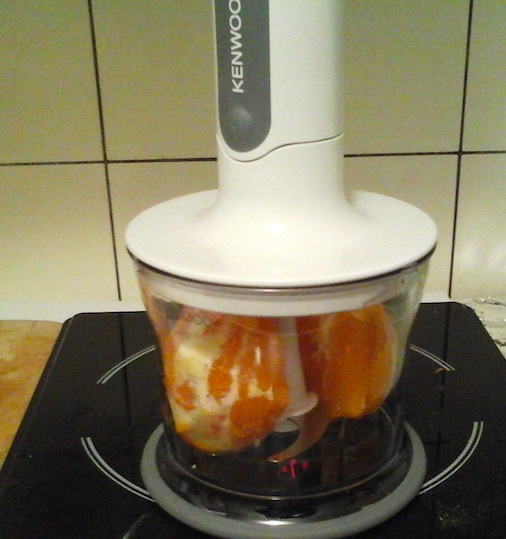 The Kenwood cut through the orange like butter, but oranges are soft. It will be interesting to repeat this recipe with ice or with fruit such as apples that are tougher and may be more difficult to blend. 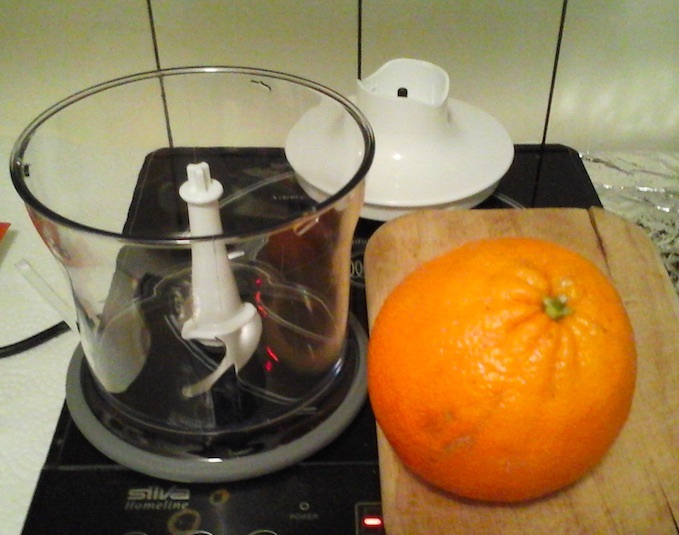 No fuss no muss – I’d use the Kenwood for fresh orange juice every day of the week and twice on Sundays! Since I like pulpy orange juice, the results were delicious. Including cleanup, it hardly required more time to set up and prepare than it would to open a carton of store-bought orange juice.